Deacons have some of the most important roles in the church of Jesus Christ, ensuring that those who are set aside to teach and pastor have the time to do their work. Moreover, they are key to giving the opportunity for many Christians to use their gifts in the Lord’s service. The church has not always taken the time to offer its deacons the kind of help that will allow them to know what kind of people they should be, and to know the kind of tasks they are to be involved in. What kind of God am I serving as a deacon? If I am to be involved in God’s purposes, what are they? Do I have to be perfect? What kind of qualities should I have and strive for as a deacon? Why do the people need deacons like myself? Is it just for buildings and money? How should I do the work of a deacon? What kind of things can I learn to do better? What opportunities do I have to serve the minister, the elders and the congregation? It is to help deacons get answers to these sorts of questions that this course is offered to those who are deacons or who are asked to consider the work of the diaconate. See the FAQs to find out more. Where can I do the course? You don’t have to move. You can do the course from where you live for the most part. You can also do the course as a group along with other deacons so that you all enjoy the same learning experience together. Do I need to be able to use the computer? Yes, but you do not have to be an expert. You will be asked to sign up on a specific website to access course materials. The website is called Mission Moodle! Do I have to do a lot of reading? There is some reading to do at your own pace. It is not designed to be very high powered, and you will easily understand the material. What kind of subjects are studied? Theology: The God you will serve as a deacon. This is material for you to read and some lectures for you to listen to or watch. They explain God and his purposes. Character: The person you want to be as a deacon. This explores the qualities and character of a deacon. People: The Church you will help as a deacon. This section explains the need of the people for elders like yourself. Goals: The Priorities you must share as a deacon. Two main goals are explored. Resources. This last part provides you with a list of materials that will be helpful for you in your work as a deacon. No. There will be local workshops with others who are also taking the course. These will be led by those who are already deacons so that you can learn from their experience. Not really. However, there will be a lot of interactive discussions during the workshops. That is where it will become evident that your understanding has developed and that you know what is to be put into practice. Do I already have to be a deacon to do this course? No. Certainly, many people who are already deacons will do it. However, it is also open to others who have been asked to consider the diaconate by the leadership of their church. Do I have to belong to a particular denomination? Not really. The material is written from a Presbyterian perspective, but the content of the course will be of benefit to people from other denominations.  Copyright © 2019 Edinburgh Theological Seminary.